Happy Holidays from Air Optix and Freshlook! Christmas shopping can be a stressful experience. 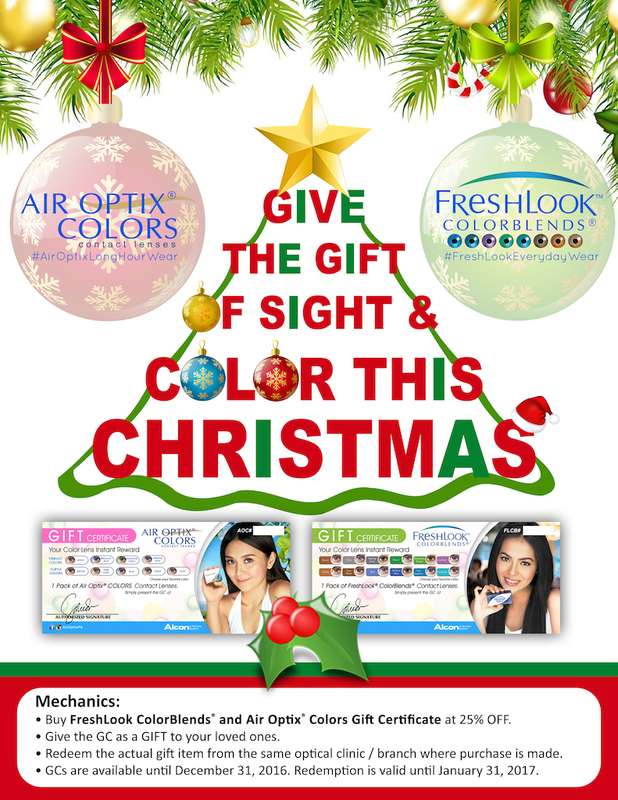 So why not make it easier as FreshLook and Air Optix Colors launches Gift Certificate – perfect gifts for our loved ones.